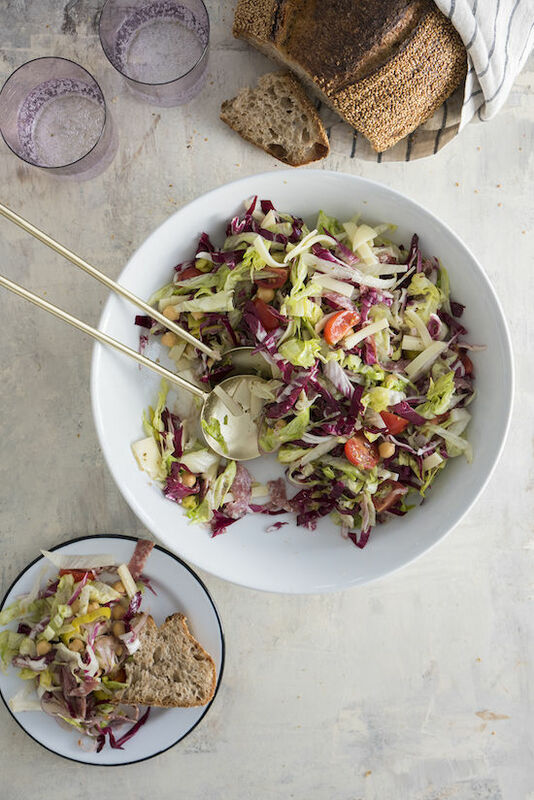 for the salad – we took this straight from the that published her recipe back in 2011. 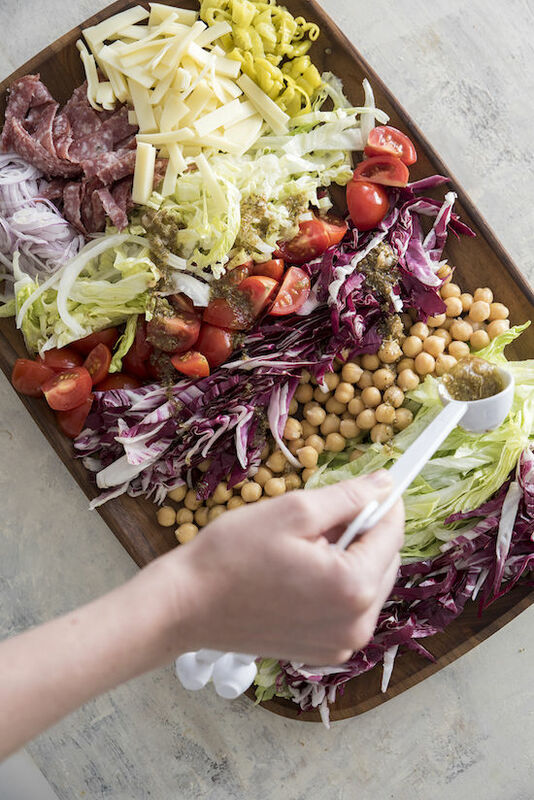 • for the dressing whisk together the vinegar, oregano, lemon juice, smashed garlic (we used a pestle and mortar) , salt and pepper in a medium bowl. let the mixture rest for 5 minutes (to marinate the oregano). 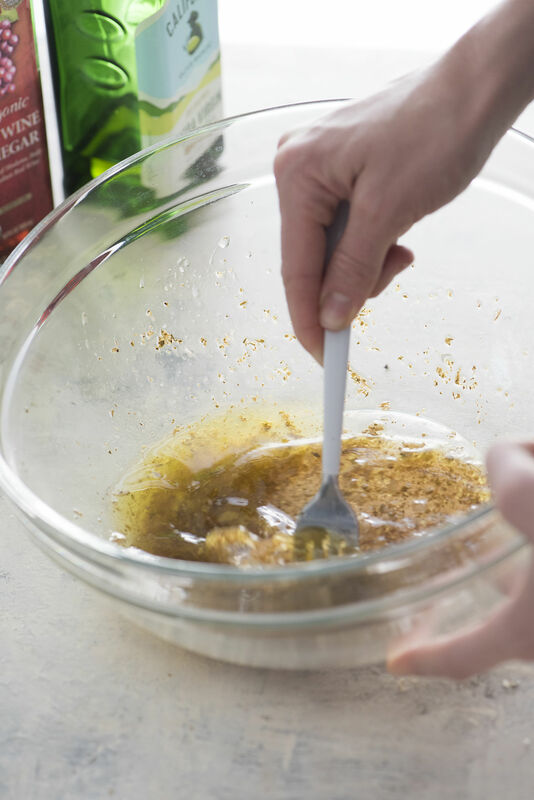 add the oil in a slow, steady stream, whisking constantly to form an emulsified vinaigrette. taste for seasoning. 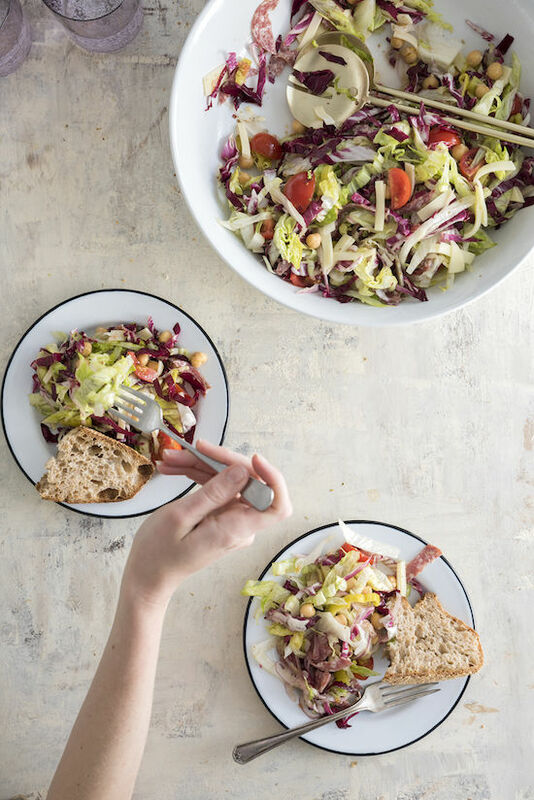 the yield is a generous 1 1/2 cups; you’ll use up to 1/2 cup for this salad, and the remainder can be refrigerated for another use (up to 3 days). • for the salad cut the onion in half and use a mandolin to thinly slice. • cut the iceberg lettuce in half through the core. remove and discard the outer leaves, and discard the core. 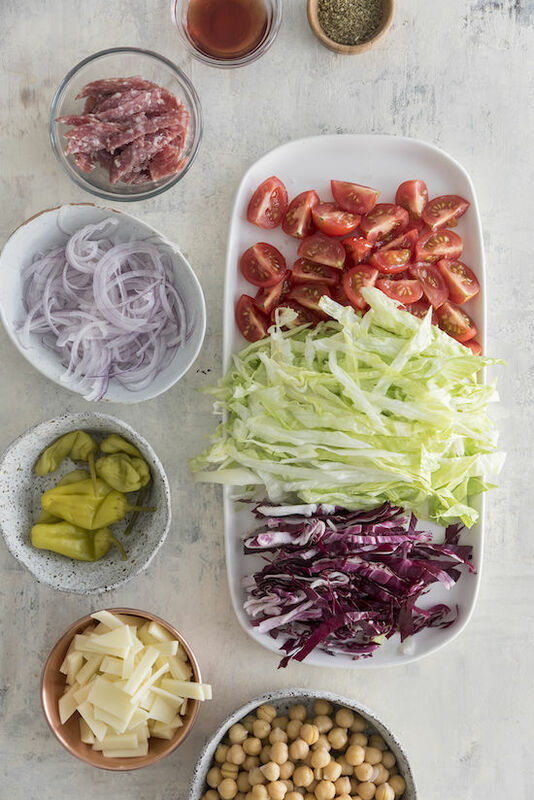 separate the lettuce leaves, stack two or three leaves on top of one another, then cut them lengthwise into 1/4-inch-wide strips. 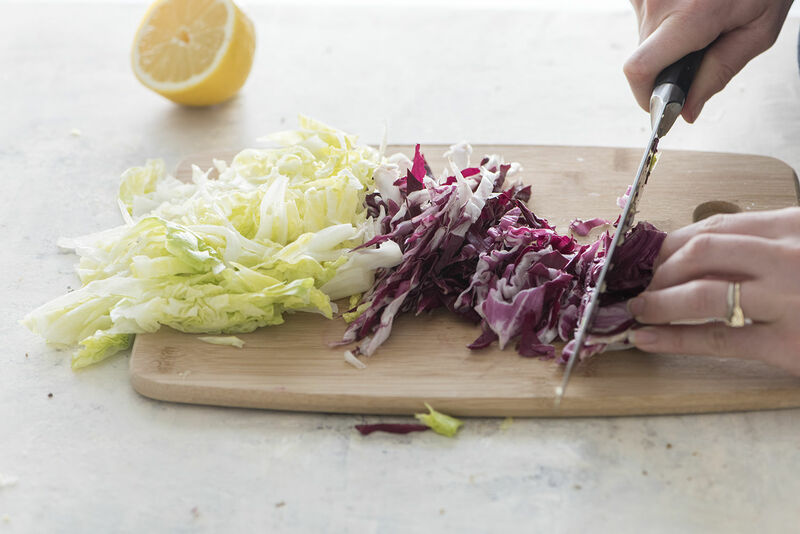 repeat with the remaining leaves; thinly slice the radicchio in the same way. cut the tomatoes into quarters, season them with salt to taste, and toss gently. 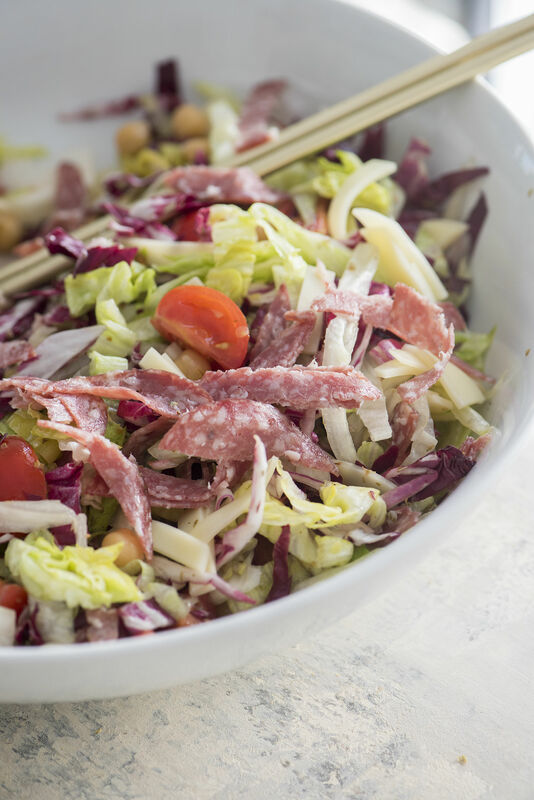 • combine the lettuce, radicchio, tomatoes, chickpeas, provolone, salami, peperoncini and onion in a large, wide bowl. season with salt to taste, and toss to thoroughly combine. 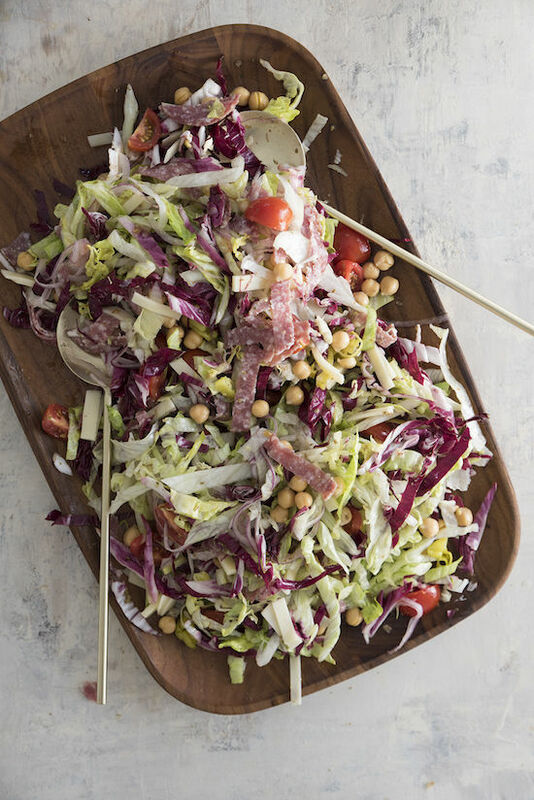 drizzle 6 tablespoons of the vinaigrette over the salad, then sprinkle with the lemon juice; toss gently to coat the salad evenly. taste, and add the remaining 2 tablespoons of the vinaigrette, salt and/or lemon juice as needed. 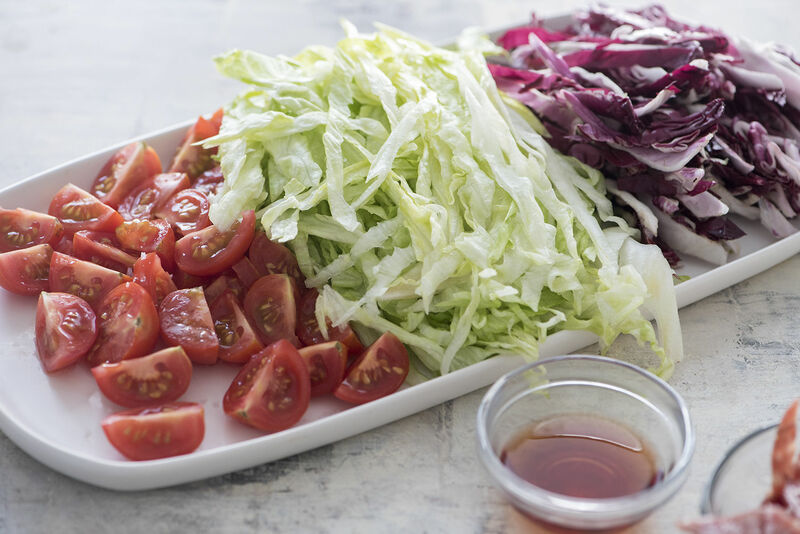 • Transfer the salad to a large platter or divide it among individual plates. sprinkle the dried oregano leaves on top and serve. i love serving salads on a salad board the one i have (pictured below) is no longer available but is! I found the Sicilian oregano on Amazon Marinella – Sicilian Oregano Bunch, (1)- 0.88 oz. Bag And WHAT a huge difference it made! I also like that this recipe is so adaptable to changing any of the ingredients into whatever you may have on hand. Love this recipe!! Thank you for the recipe! Gonna try it soon, looks so good! I’ve seen this around the internet lately, and finally gave it a try last night!! I added grilled shrimp and avocado on top, but the base salad and vinaigrette need no help at all! 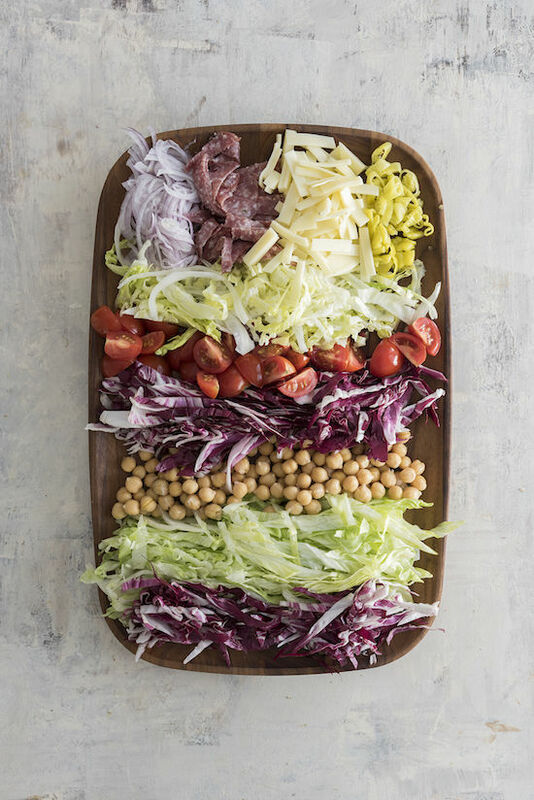 This is the salad of my DREAMS, and it definitely wowed my guests.